With Danske Bank, as well as banking face-to-face at any branch, you can take care of your finances in more ways than before with our online, mobile and tablet banking solutions and services. Save time and money by banking online anytime, anywhere. How do I register for eBanking? If you are a Danske Bank customer, you can register for eBanking here, or call us. Where can I get help with logging on to eBanking? 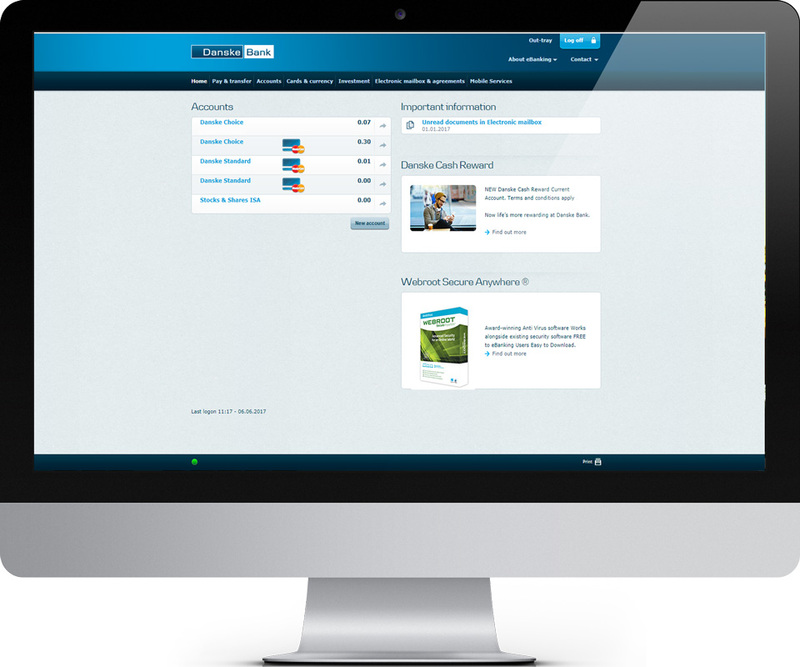 You can use our short set up guide to support you through your initial logon. If you have forgotten your Passcode you can contact us to order a replacement. If you have forgotten your User ID you can call us and we can confirm this to you over the phone. Why has my security card been blocked? If you have entered your security card number incorrectly 4 times, it will be blocked. You will need to request a new security card by phoning us or calling into one of our branches. How do I get in touch if I need help with technical problems? Enjoy all the top features of eBanking on your mobile or tablet with the added perk of Paym. 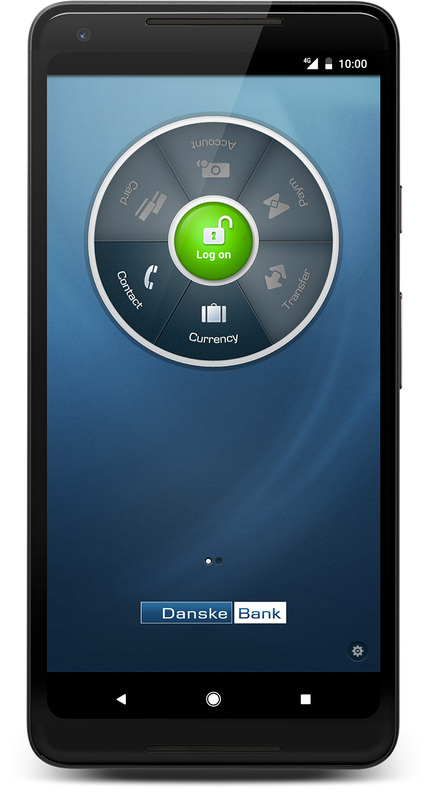 Danske Mobile and Tablet Bank Apps provide a simple way to control your money 24 hours a day, no matter where you are. If you use the Danske Mobile Bank App, you may also use our App for Apple Watch when you pair it with a compatible iPhone. Download it for free today. You must be registered for and logged into eBanking using your Access ID to be able to use Danske Mobile Bank, Danske Tablet Bank and Apple Watch Apps. Danske Mobile and Tablet Apps are available on iOS and Android devices. How do I start using the Danske Bank apps? Is there a limit for transferring money? If you are transferring money between your Danske accounts there is no maximum limit. For all other transfers and payments, you can transfer no more than £10,000 per day. How do I access my account statements? Danske Mobile Bank App - Log on and tap the envelope icon at the bottom of the main screen, select 'Electronic mailbox'. Danske Tablet Bank App – Log on and tap the envelope icon at the top of the main screen, select 'Electronic mailbox'. Tell your network operator immediately, so they can disable the device. As long as your log on details are secure, no-one else can use your phone or tablet to access your banking data. If however, you suspect that someone has intercepted your user ID, passcode or your security card, please contact us immediately. My access to the app has been blocked. What do I do? If you enter your Passcode incorrectly four times your access will be blocked and you will need to request a temporary PIN by calling us or by calling into one of our branches. Owe someone money for dinner? Or want to get your share of that taxi fare? Paym is an industry-wide service available through Danske Mobile Bank which makes it easier to pay back or pay your share to a friend or family member. You can send and receive money using nothing more than a mobile phone number, as long as they’re a Paym user too. Set up your subscription to this service according to your needs and receive automatic texts. There are a range of options you can choose from, for example when your balance goes above or below a certain amount or when your salary goes into your account. You can set this up through eBanking or by phoning 0345 600 2882. The text message will tell you how much money you need to lodge or transfer to your account, and the time by which you must do this, in order to cover the debits due on your account. You will be automatically opted into this service so if you do not want to receive these alerts then you will need to speak to a member of staff in a branch or call us on 0345 600 2882. Call 0345 736 5024, 24/7 to check your account balance, review withdrawals and deposits. Speak to an adviser from the comfort of your own home to discuss mortgages, personal loans or to conduct a financial review. Do I need special features on my computer to hold an online meeting? No - most PCs and Macs should be fine, as the Online Meeting is hosted via eBanking. You’ll also need your phone to speak to the adviser. Can I participate in an Online Meeting via my smart phone or tablet? Unfortunately not - you must use a PC and a phone. For best results use a standard broadband connection. If you have a dial-up modem or an unreliable data connection, you may experience problems. If you do, the meeting can be held over the phone or at your branch instead. We are able to accommodate up to five people (including the adviser) in different locations, as long as everyone is a Danske Bank eBanking customer and has access to a phone and PC/laptop. If you need Online Meeting technical support, call customer support. Find your nearest branch, their opening hours, contact numbers, and your closest Danske cash machines.